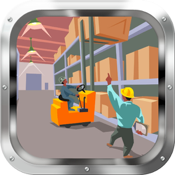 App to take stock or keep inventory records on the iPad or the iPhone/iPod Touch. 2. Inward inventory by item. 3. Outward inventory by item. All details of each transaction are kept easy to reach by item.